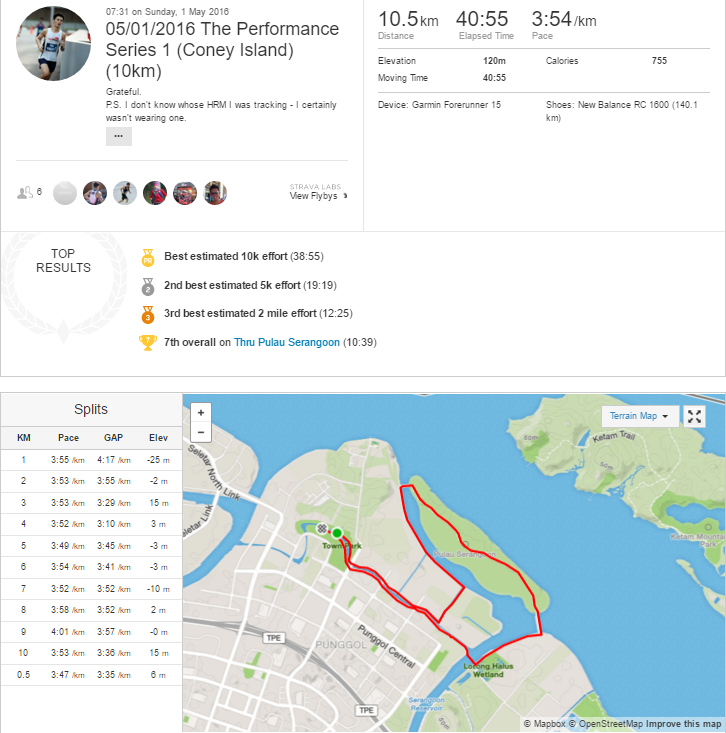 Race Review: The Performance Series 1 – Oasis/Island [10km] (by Moses) | JustRunLah! 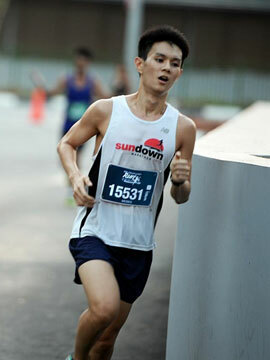 Disclaimer: In return for a sponsored race slot by JustRunLah!, here’s my review of this race. 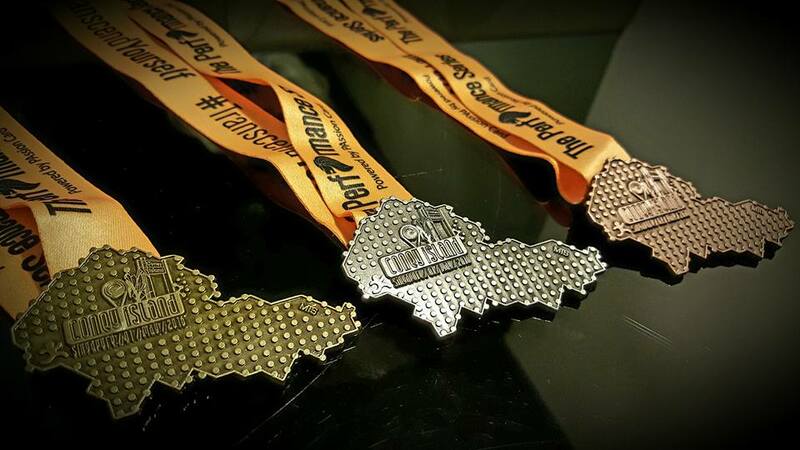 The Performance Series was to be a new running event amongst the many that have been organised in recent years. Furthermore, it wasn’t merely an isolated race but instead, a series of 5 running events and 1 stair-racing event. My expectation in exchange for registration fees is a well organised race, hence I was hesitant in signing up for anything new (as often, there comes a degree of inexperience). It was only after being offered a sponsored race slot that I decided to give it a try – and how did it fare? Read on to find out! As always, do look out for the font in italics regarding aspects of a race that I deem are possibly important to runners – whether they are competitive or non-competitive. With the intent to make participation suitable for people of differing physical background, there were 3 different race categories. 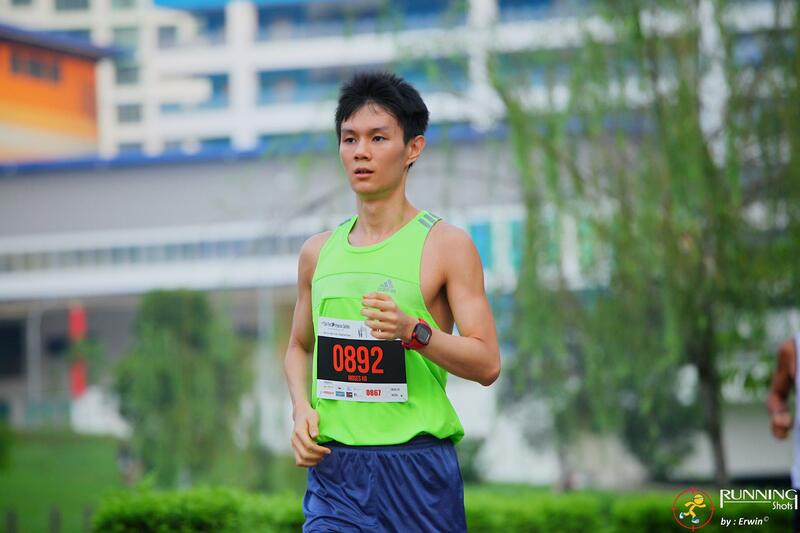 A competitive 10km race and two non-competitive categories – the 5km and 2.5km race. Participants could choose to sign up for individual races (of this series) or enjoy discounts by purchasing registration for a bundle of 3 or all 5 races. Race Entry Pack Collection (REPC) took place 2 weeks before the event, from 16-17 April 11am-7pm at City Square Mall. I happened to arrive just before 1pm and it seemed like it was a mistake. The queues were lengthy – my waiting time was 40mins (at least it was accurately estimated by a volunteer). That was the longest I had ever had to wait for an REPC. There were 6 collection counters operating at maximal capacity. I was reminded that as a participant, it was certainly inadvisable to proceed for collection shortly after REPC begins. By the time I was about to leave, it seemed like the queue had halved (which was admittedly, still pretty lengthy). The Race Pack comprised of the event tee, race bib and notably, Compressport Pro Racing Socks, amongst other freebies. There were T shirt printing services, a PAssion Card and a Compressport booth, amongst a few others. 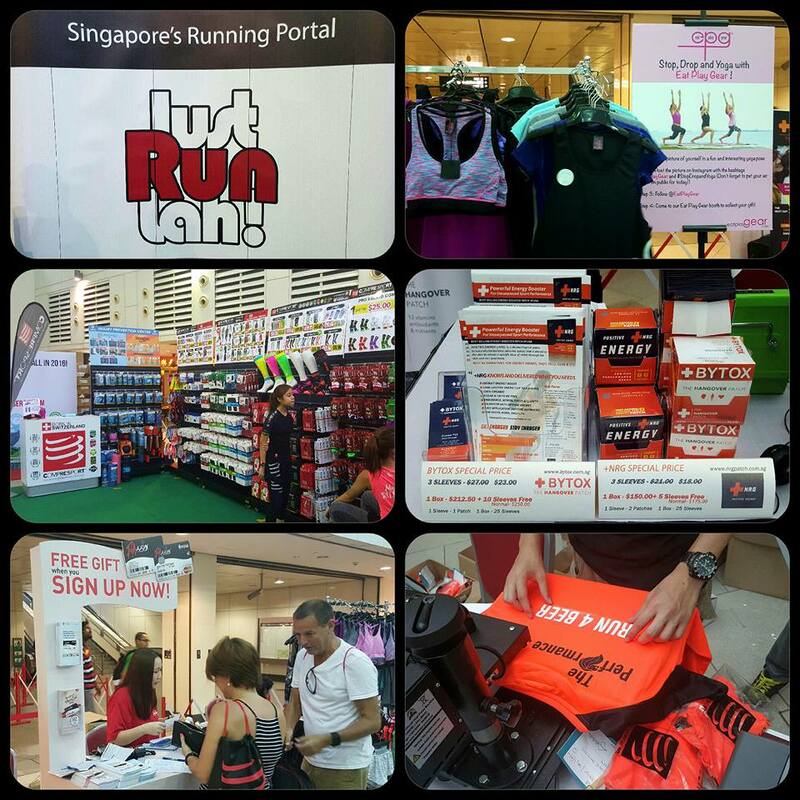 The booths at the Race Entry Pack Collection. Credit to The Performance Series. Credit to The Performance Series (with a little edit by me). Thereafter, I headed into the race pen just after 7am. As the race pen had opened at 6.30am, it was pretty packed and slightly narrow (park connector route width). Flag off was prompt at about 7.30am. A huge group of participants rushed off while I took my time – though admittedly I still encountered some obstruction as the route wasn’t very wide (2 car lanes?). 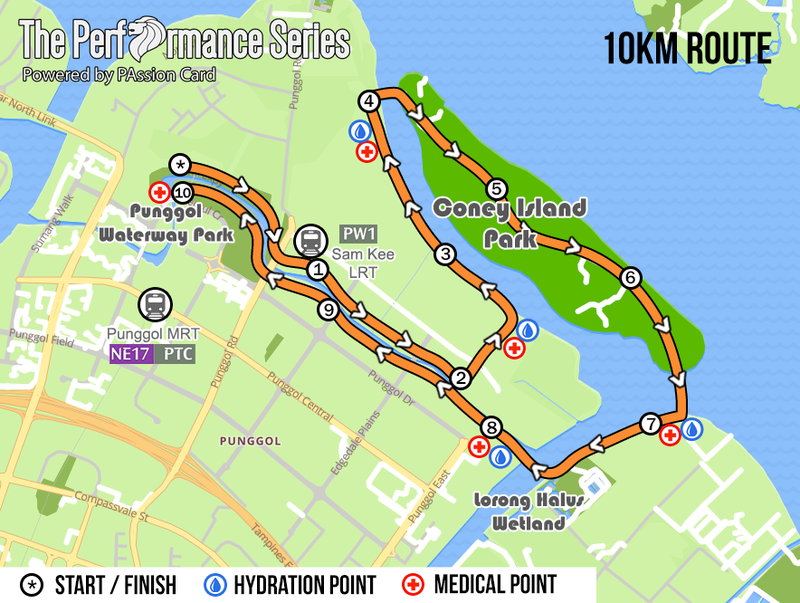 The race route would take participants along the PCN before heading into Coney Island, then towards Lorong Halus Wetland and back along the PCN. 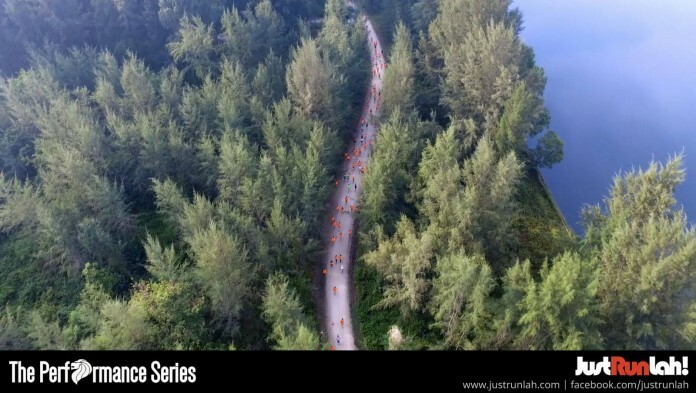 Though hills weren’t part of the route (they aren’t easy to come across in Singapore after all), there were various undulating areas and of course, the portion of trail around Coney Island and towards Lorong Halus Wetland. 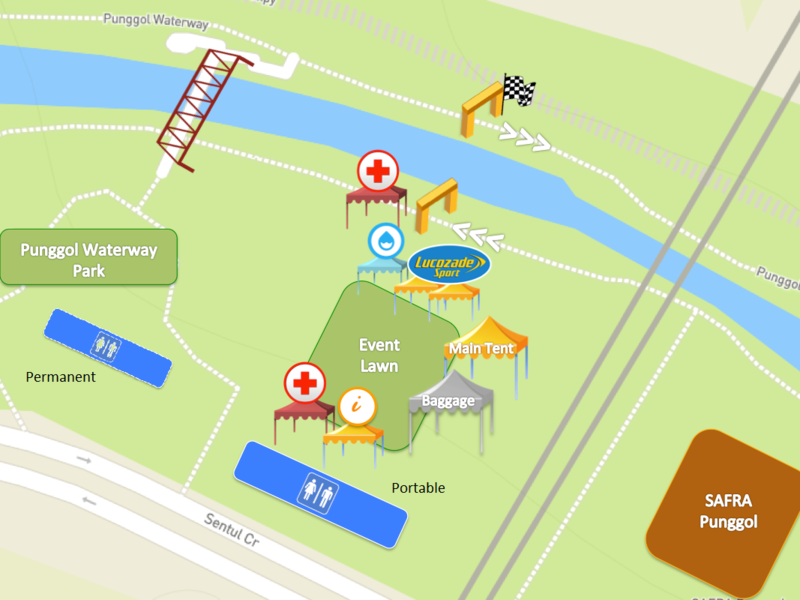 The 10km race route. Credit to The Performance Series. Early into the race. Credit to Running Shots. 4 hydration stations were spread along the course of the 10km route, serving both chilled Lucozade and plain water. Distance markers were also present at every 1km, though their accuracy was questionable. Though I didn’t strictly run the tangents, I found that there was an ever-increasing dissociation between the beeps of my Garmin FR15 (at every km) and the distance markers (which appeared increasingly later). Indeed, as many participants did note, the distance was in fact quite a bit lengthier than the 10km expected (most GPS-measured distances were about 10.5-10.6km). That’s one aspect that marks our identities as Singaporeans – anything too near or too far, we make noise – and hopefully it’ll bring improvements in future! There were adequate volunteers and direction signs dispersed throughout the route to ensure that participants did not veer off course, of course. One interesting aspect I noted was that the location of the Finish was deceptive. From afar, a Lucozade banner around the 10km mark did appear to look like the Finish line, hence I began a (half-hearted) kick a little earlier than usual, only to realise there was still some distance to cover. It seems like I wasn’t alone however – I overheard other participants speaking of similar experiences. The first part of the puzzle. Credit to The Performance Series. 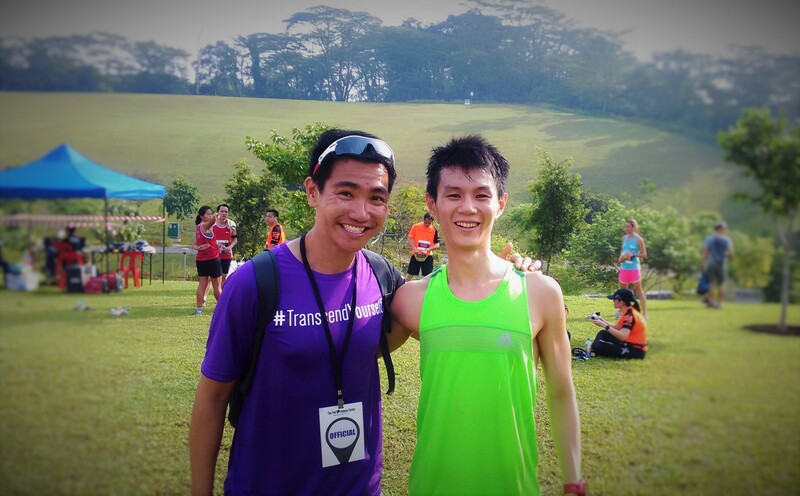 A shout out to Zhi Yong, the founder of The Performance Series. Read more here. Cover photo credit: The Performance Series.